Managing turnovers remotely can be difficult; it’s hard to keep track of what needs your attention when there’s a flurry of WhatsApp messages being sent back and forth. Unless they let you know right away, there’s no way of knowing when a cleaner has finished. Every minute that your property is offline, it’s costing you money – improving the efficiency of your turnover process is a high priority. 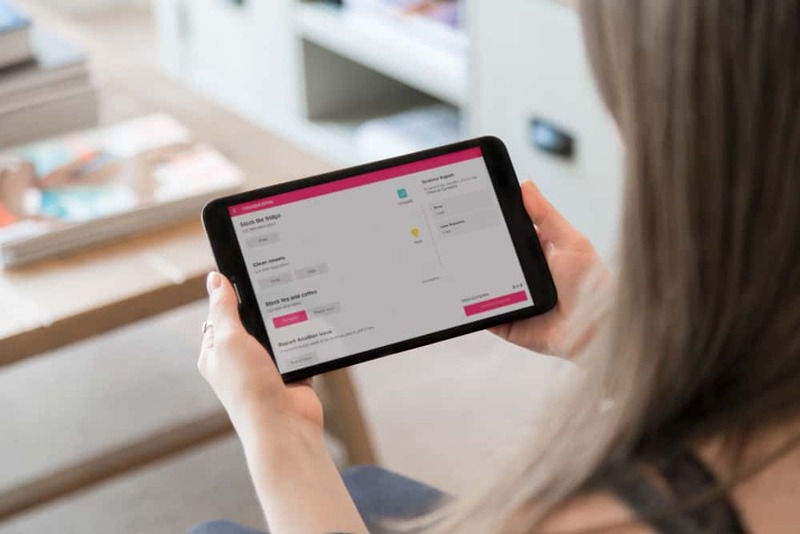 There are some great third-party apps to help you manage this process, but it can be a problem if your cleaner isn’t able to download it to their phone, or doesn’t have the data allowance to download photos or videos. When they use the YourWelcome Checklist, your team don’t need to download anything on their phones. 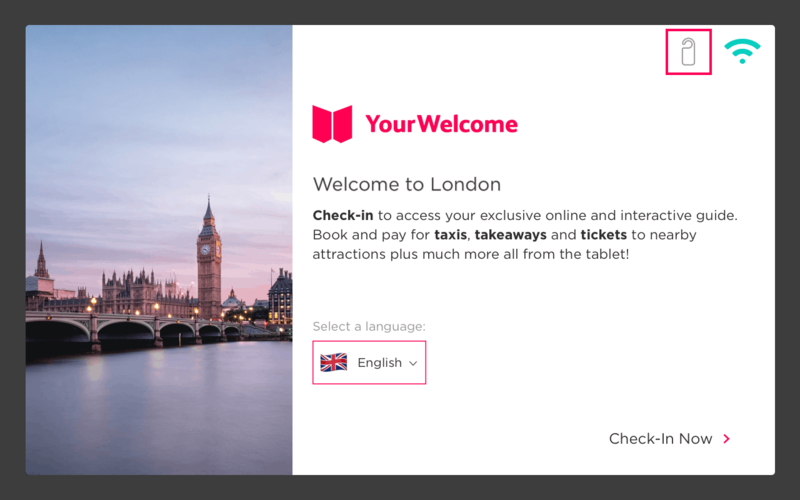 They simply pick up the YourWelcome tablet in the property and run through the checklist to let you know what they’ve done. They can add photos and comments as they go through the list, to make you aware of any issues. All of this information is sent to you by email, so you can keep track of your team remotely. The House Keeping tab is included with all YourWelcome Pro Tablet subscriptions. You create & manage the list using the YourWelcome dashboard, then your team use the in-property tablet to complete the checklist. When enabled, your checklist will appear on all of your tablets. 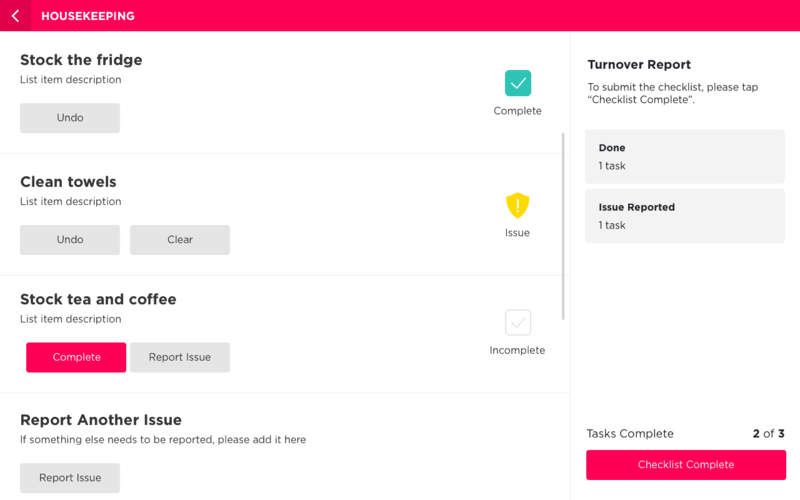 We’ve kept the housekeeping tab simple, so your team should have no trouble building it in to their workflow. Click here read the tutorial and view the see what your team will see. You can use your Housekeeping Checklist to remind your team about everything they need to do to get the property ready for the next guest. Start by adding a task for each room, with a brief overview of what needs to be completed. If there are any appliances that need regular cleaning (such as a coffee machine), then it’s best to add these as separate line items. It’s best to include a line item for each consumable item in the property. It’s best to include the optimal stock level, so your team know whether they need to restock. These can include checking the temperature, checking/replacing bulbs in bedside lamps – all of the little touches that matter to a guest’s first impressions. Every booking is an opportunity to surprise & delight the guests staying with you. Why not leave a personal postcard, welcoming them to the neighbourhood? Got an idea that would make this better? Previous PostGuestyVal 2018: YourWelcome are heading to Tel Aviv!